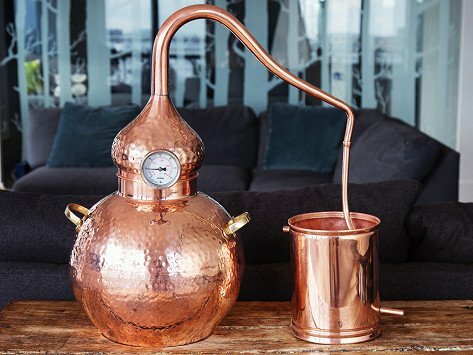 Home distilling is easy—and attractive—with this striking copper and brass still. Handcrafted with care by artisans in India for fair wages, the design is fashioned after the ancient alembic still. 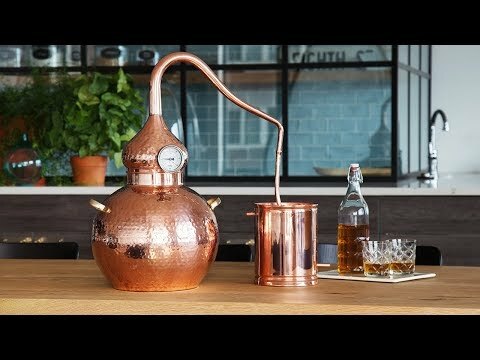 While not in use making batches of brandy, whiskey, and other spirits (you can even use it to make essential oils! ), it serves as a striking piece of home décor. Dimensions: 24.4" x 18.9" x 11.8"
If DIY spirits aren’t your thing, the still can be used to make essential oils or distilled water instead. Distilling is a tradition that hasn’t really changed in, well, centuries. This still is fashioned after the alembic still, which dates back to ancient Egypt. It’s handcrafted by artisans in India, who are paid a fair wage for their work. They carefully hammer and solder the pieces to create an eye-catching still that is as functional as it is beautiful.